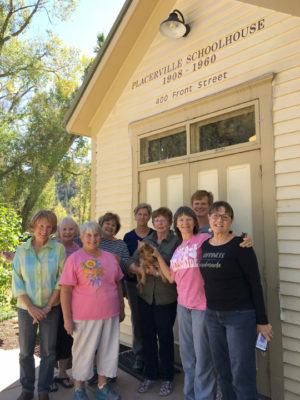 September 28 & 29, 2018 – Confetti Landscape Art Quilting – 2-day Workshop with Rhonda Denney, Placerville, CO.
We had a great 2-day workshop at the Old Placerville Schoolhouse in Placerville, Colorado (near Telluride). Thanks ladies! !